Glenroy College is a co-educational, 7-12 school servicing the communities of Glenroy, Coburg, Oak Park, Hadfield and Pascoe Vale. Glenroy College is a co-educational, 7-12 school servicing the communities of Glenroy, Coburg, Oak Park, Hadfield and Pascoe Vale. The College is serviced very well by public transport with Glenroy station walking distance from the school and local bus lines with stops outside the school. The College is situated in spacious grounds with both green space and hard surfaced areas for students to use. We have a well appointed gymnasium, performing arts centre, science centre and computer labs situated in generous sized classrooms. We have a population of 470 students from a multicultural background with 40.4 staff. Our mean class size is 21. Our clear focus is to provide students with a viable pathway including both academic and vocational opportunities. Specialised literacy and numeracy programs and assistants support our drive to continually improve literacy and numeracy across the College. Curriculum at Glenroy College is designed to cater for different stages of learning. Year 7 to 10 are guided by the Victorian Curriculum, with differentiation in the classroom underpinning our drive to cater for individuals. This is informed by a rigorous testing regimen that informs teacher planning and student goal setting. Year 10 also provides an alternative academic and vocational pathways linked with work placement and access to VCE (Victorian Certificate of Education) subjects for capable students. Year 11 and 12 formalise pathways through VCE and VCAL (Victorian Certificate of Applied Learning). The College has a strong focus on literacy and numeracy. Participation in the Achievement Improvement Zone has had a significant impact on teaching and learning. The specific focii in the future will be on improving VCE results, ensuring consistency in all classrooms, raising student expectations of their achievement levels- especially in relation to effort and completion of homework and the use of data to monitor student achievement, inform planning and support personalised learning. There is a strong focus on attendance and effort in class. Rolls are marked every lesson with parents contacted when students are absent. Personal Learning at Years 7-10 focuses on College values and preparing for success. Teaching teams use data to inform agreed practice in the classroom. Student Voice and student leadership provide genuine input to the college programs and structure. Teachers report to parents through progress reports, reporting nights and individual interviews. Students begin planning their pathway in Year 7, exploring their interests and strengths and setting goals. 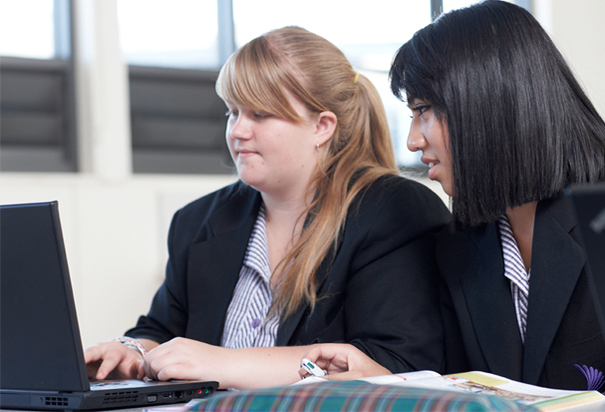 Students select a vocational or academic pathway in Year 10. Extensive counselling with students and parents forms part of the process for selecting pathways and subjects. Work experience, work placement and School Based Apprenticeships form part of alternative programs along with Internship and VCAL. Industry visits, career expos and attendance at university open days complete the picture for students.